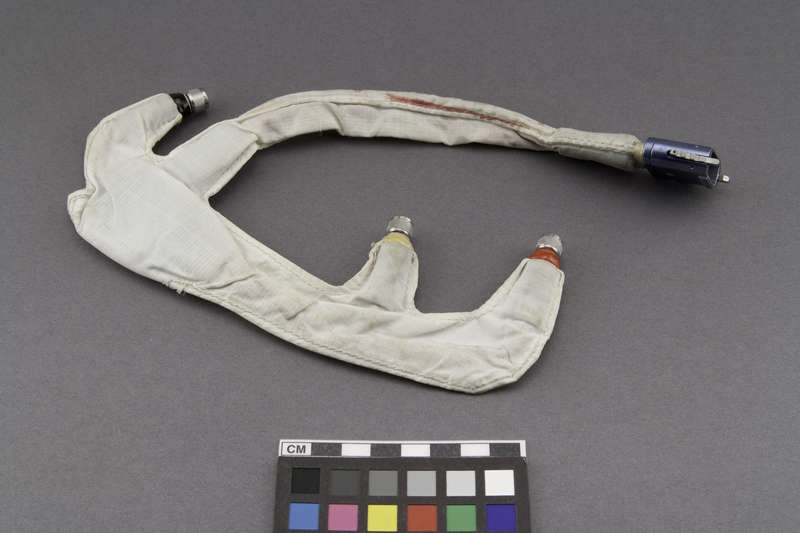 This Apollo bio-harness was worn by astronaut Eugene Cernan during his Apollo 17 mission in December 1972. This portion of the bio-harness served to connect each of the data collection devices to the spacecraft in order to transmit the health information of the astronaut back to Earth through the spacecraft communications system. NASA transferred this bio-harness assembly to the Museum in the 1970s.